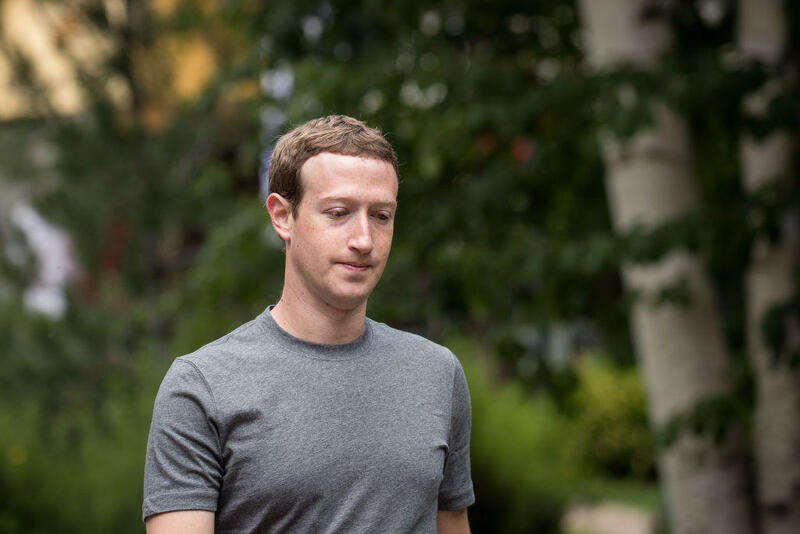 Zuckerberg asks for forgiveness for ways his work "was used to divide people"
Facebook CEO Mark Zuckerberg posted a message on his social media platform asking for forgiveness. "Tonight concludes Yom Kippur, the holiest day of the year for Jews when we reflect on the past year and ask forgiveness for our mistakes," he wrote Saturday night. "For those I hurt this year, I ask forgiveness and I will try to be better." Zuckerberg continued, "For the ways my work was used to divide people rather than bring us together, I ask forgiveness and I will work to do better. May we all be better in the year ahead, and may you all be inscribed in the book of life." Zuckerberg made the remarks as Facebook is under scrutiny. The company has said it would disclose ads to Congress that were purchased by Russians on the social media platform in the country's effort to influence the 2016 U.S. election. As of late last week, Facebook was still in the process of handing over all of the ads to congressional investigators, according to a source familiar with the Facebook investigation, CBS News' Jeff Pegues reported. At least one of the ads specifically mentioned Black Lives Matter and was targeted to reach Ferguson and Baltimore, a CBS News source confirmed. CNN first reported that the advertisement was one of the 3,000 Russian fronts purchased during the election. "I care deeply about the democratic process and protecting its integrity," Zuckerberg said earlier this month. "I don't want anyone to use our tools to undermine democracy -- that's not what we stand for." He said his company found and shut down thousands of fake accounts that attempted to influence elections around the world. "I wish I could tell you that we are going to be able to stop all interference. But that just wouldn't be realistic," he said. "There will always be bad actors in the world and we can't prevent all government from interference." Twitter also recently announced that it provided congressional investigators with a "roundup" of ads from accounts used by Russia's state-sponsored television network, RT. Twitter said it found about 200 accounts linked to Facebook accounts that Facebook had identified as being connected to Russian efforts to influence users.